Garage Door Off Track. Cables Off. Rollers Out. Garage Door Repair Alpharetta, Ga.
You May Want To Know! Post. 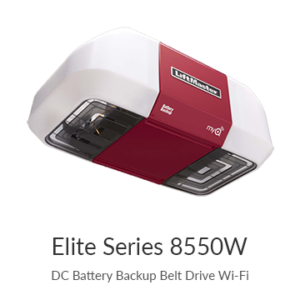 Connect Wifi Lift Master 8550W Garage Door Opener Quickly and Easiily. LiftMaster Garage Door Openers are Cool! The Opener is Connected Through Wifi Inside. Easier than ever to monitor, and control your opener from anywhere you can get an internet signal. 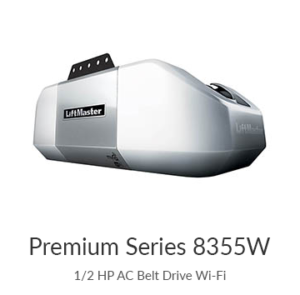 Liftmaster 8550w Garage door opener. The 8355w is a great 1/2 horse power opener that includes a time to close feature, lock, and WiFi inside. The 8550w is a power horse 800 jewels DC motor. This motor has a soft start and stop movement that is easy on the gears. The opener also comes with a Battery backup, motion detected auto light, Led lighted screen with “smart” technology that allows for the most user friendly diagnostics in the market. 855w- LED has all the features of the the 8550w, and it comes with a trade Marked “Corner to Corner” LED lighting system built into the Opener. Need more Head room? 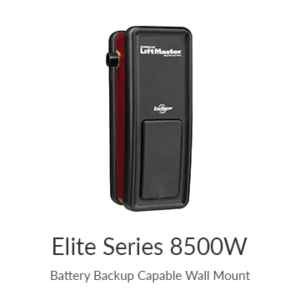 the 8500w side mounted opener is quiet, reliable, and mounts on the side of the door freeing up space for you to use for storage or allowing you to have an opener installed correctly in low head room situations.. it comes with the “smart” wall control and internal battery back-up and yes, the WiFi is inside. Watch the Video below to get Connected. Connect Wifi on your garage door opener and then connect your 8550W garage door opener to the internet. 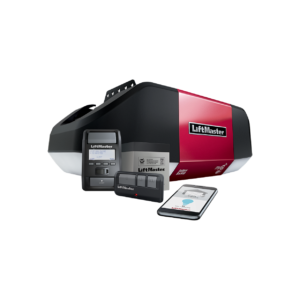 LiftMaster Garage Door Openers are Cool! Connectivity through WiFi is now included inside the opener making it easier than ever to monitor, and control your opener from anywhere you can get an internet signal. See the Videos below to help you get connected and take control of your homes security today. Call One Clear Choice Garage doors is a LiftMaster Provantage dealer. We can install the new WiFi enabled belt drive garage door models 8550W and the 8355w. We also carry the new 8500w side mounted Residential Jackshaft Opener – RJO. Led lighted screen with “smart” technology that allows for the most user friendly diagnostics in the market. Need more Head room? The 8500w side mounted opener is quiet, reliable, and mounts on the side of the door. This Frees up space for you to use for storage additionally the side Mount opener allows you to have an opener installed correctly in low head room situations. The 8500W comes with the “smart” wall control and internal battery back-up and yes, the WiFi is inside. Above all LiftMaster is the #1 Garage Door Opener Company in the World and One Clear Choice is A ProVantage Dealer. That certainly is credibility you can trust! Finally you have a reason to change out your opener before it breaks. Garage Door Openers Are Cool.